Robert Woodfield is a criminal defense attorney, and he has defended a lot of criminals, many of whom are guilty, but has maintained that everyone deserves a competent defense, which he provides whether they are guilty or not. Currently he is defending Martin Ritter, a killer, whom he gets off. Later he has dinner with a friend, and his friend tells him that he needs to talk to him about something important. He is about to leave when some masked men go to his friend and kill him, when one of the men takes off his mask; it's Martin Ritter. Now being his lawyer, Robert can't say anything about what he saw. But that doesn't stop him from investigating what his dead friend was so worried about. It seems that he has stumbled onto something big, and instead of killing him they frame his wife for murder to get him to back off. But he doesn't and both his wife and him are now in danger. And still has no idea what's going on. Will he find out before they get to him? 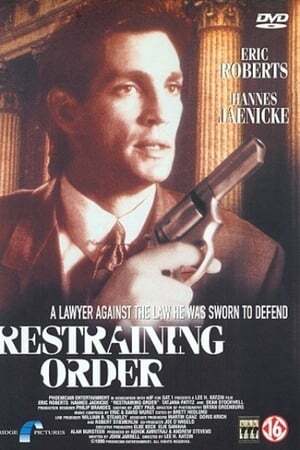 We don't have any reviews for Restraining Order. 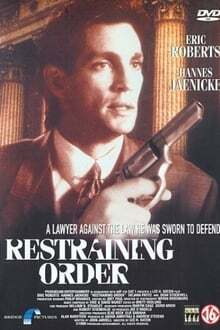 We don't have enough data to suggest any movies based on Restraining Order. You can help by rating movies you've seen.